An Introduction to Irish English is a practical introduction to the English spoken in Ireland, its most characteristic features, and its historical development. As well as looking at the specific examples where substratum from the Irish Language can be observed, the book analyses other features unique to Irish English, from different perspectives (taking into account, for example, the pragmatic implications of certain syntactic structures in current spoken Irish English). It offers the reader a comprehensive coverage of the history and most salient features of this variety of English, while discussing key concepts such as bilingualism and language shift. The material is presented in a simple and accessible manner. It encourages the reader to discuss and think critically about the topics and to use the last section of each chapter as a basis for further investigation. 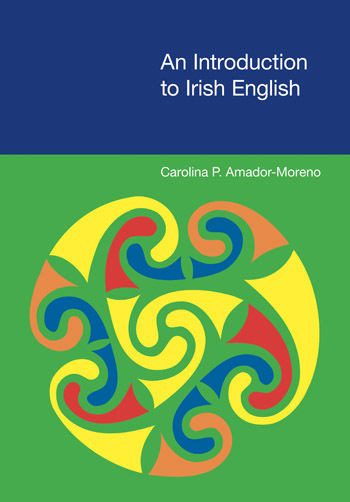 An Introduction to Irish English contains exercises and practical activities with each chapter, as well as suggestions for further reading. It deals with both real data and fictional representations of this variety and it includes excerpts from literature, media and film scripts, as well as other contexts, including everyday conversation, newspapers, e-mail, blogs, etc. Inés Praga, Professor of English, University of Burgos, Spain, Estudios Irlandeses, number 6, 2011. Yuasa’s contribution is unique and innovative in that it is … the first scholarly work to examine the contribution pitch range makes to the construction of identity.